another fragment, to Lev. xxv. 9-xxvi. 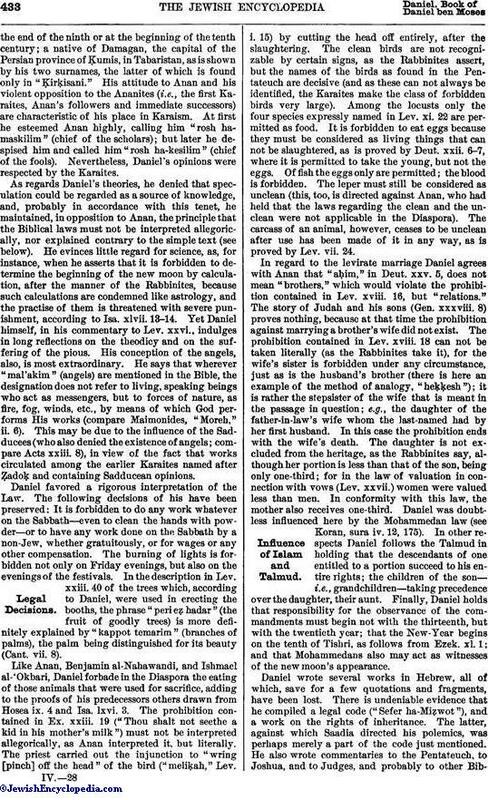 25, has been edited by Harkavy, in Fuchs' , i. 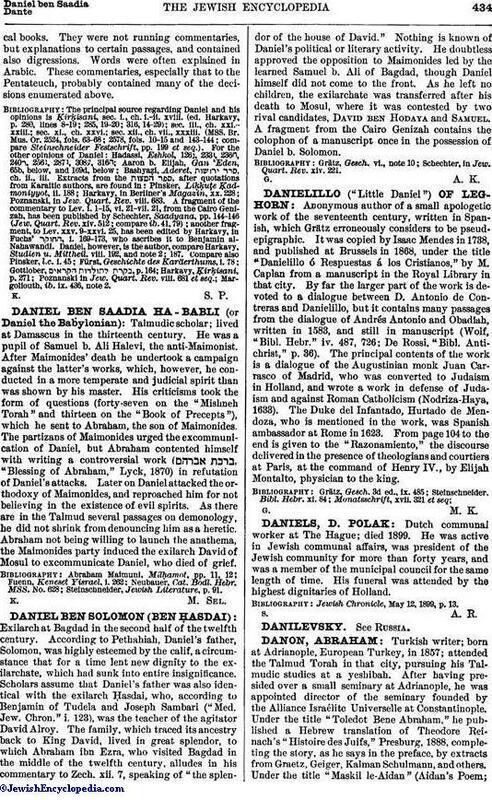 169-173, who ascribes it to Benjamin al-Nahawandi. 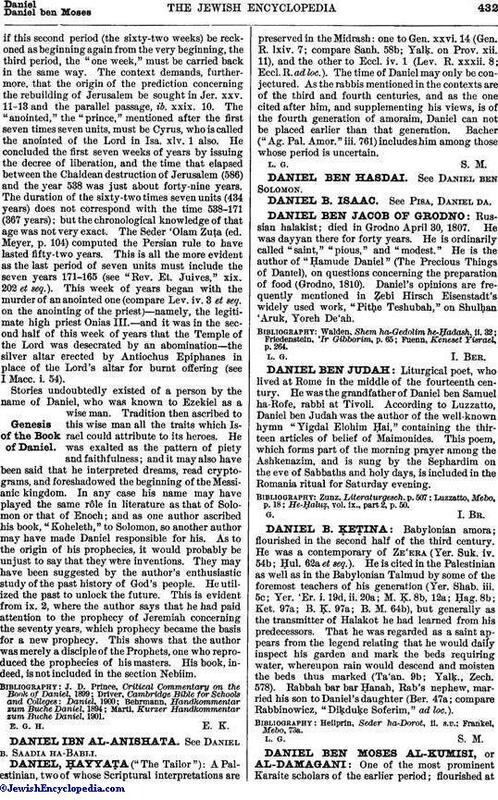 Daniel, however, is the author, compare Harkavy, Studien u. Mittheil. viii. 192, and note 2; 187.